At MWC this week, Samsung announced the Gear 2 and Gear Neo, both of which run on its Tizen platform. While both of these are a significant improvement over the previous model, the smartwatch market has changed a lot since the release of the Galaxy Gear last year. New models have been released, with new technologies and packaging at the forefront in two of the market’s most compelling offerings. Qualcomm’s Toq is large and somewhat cumbersome for a watch, and lacks features like iOS compatibility. However, the important part is that it showcases Qualcomm’s low-power Mirasol display technology, which combines some of the low power consumption of E-Ink with the higher response times and colors of LCDs. While it may consume slightly more power than E-Ink, or have less vibrant colors than LCDs, this is arguably a best-of-both worlds technology that is probably one of the best options for smartwatch displays. While this first-gen attempt is expensive and probably best suited to early adopters, the technology showcased here is certainly going to be exciting to watch. 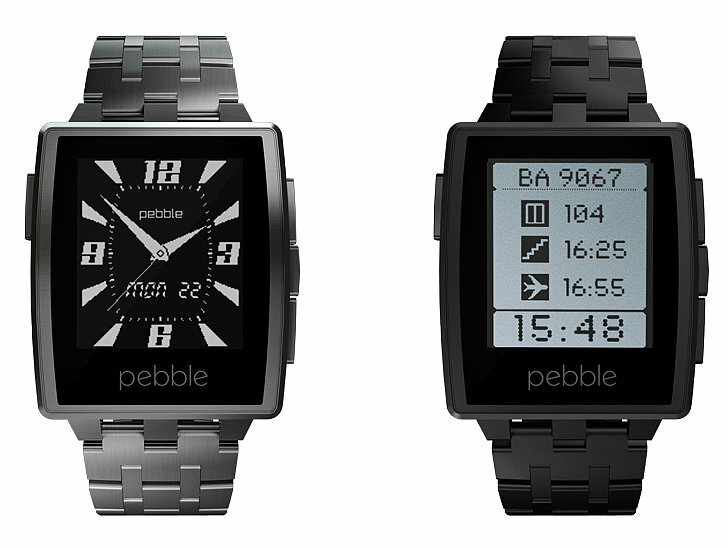 Another new development is the Pebble Steel. Released at CES, Pebble’s second effort is probably the most desirable smartwatch on the market today. While it commands a price premium over the original Pebble (with which it shares internals), this new model adds a thinner, steel case that looks more like a normal watch and less like a gadget. Pebble has started to allow applications to be developed for the devices, and notification forwarding works just as well as it always has. This is not to say it is without its issues, but the Pebble Steel is definitively the most desirable model available today. The nascent wearables space is starting to see some really compelling options released, but it’s hard to see things going anywhere but up. The current models are the best we’ve seen yet, and represent significant improvements over the first generation’s chunky, plasticky models. Exciting models are slated to be released into the next year, with established players like Sony and rumored devices from Microsoft and Apple scrambling to get a piece of the market.